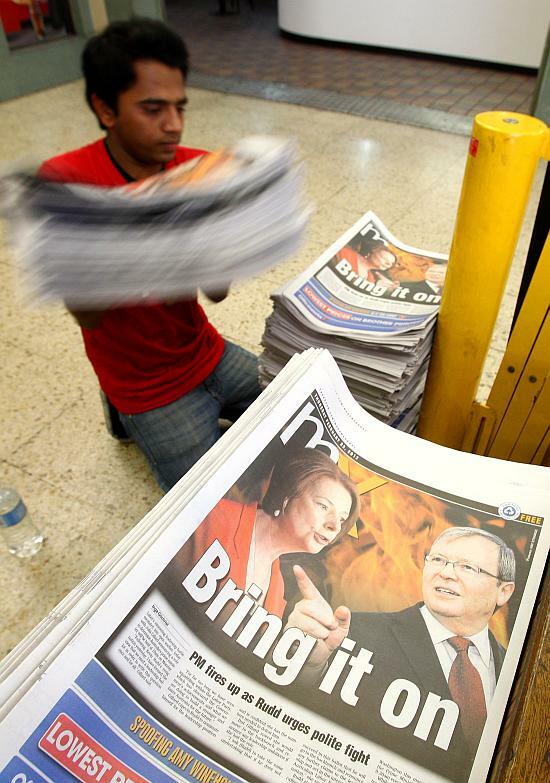 A combo picture shows how Australian Prime Minister Julia Gillard slipped on her heel and fell while she was walking away from the Gandhi Memorial at Rajghat in New Delhi. 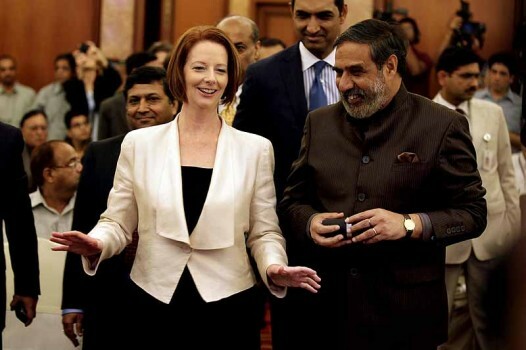 Australian Prime Minister Julia Gillard arrives with Minister for Commerce and Industry Anand Sharma to attend a meet with business leaders in New Delhi. 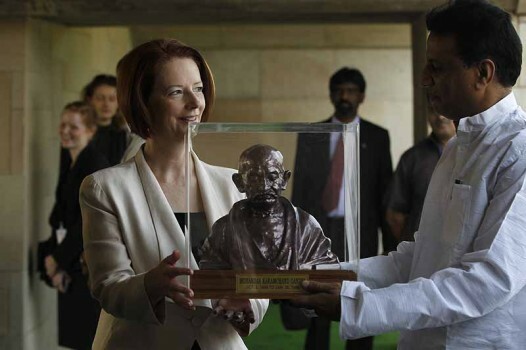 Australian Prime Minister Julia Gillard receives a memento from Rajnish Kumar, Secretary of the Gandhi Samadhi Committee, at the memorial of Mahatma Gandhi in New Delhi. 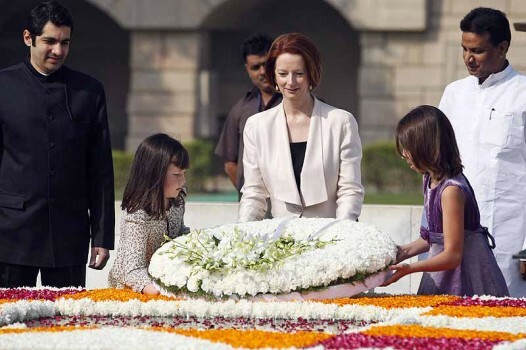 Australian Prime Minister Julia Gillard, center, accompanied by unidentified children pays floral respects at the memorial of Mahatma Gandhi in New Delhi. 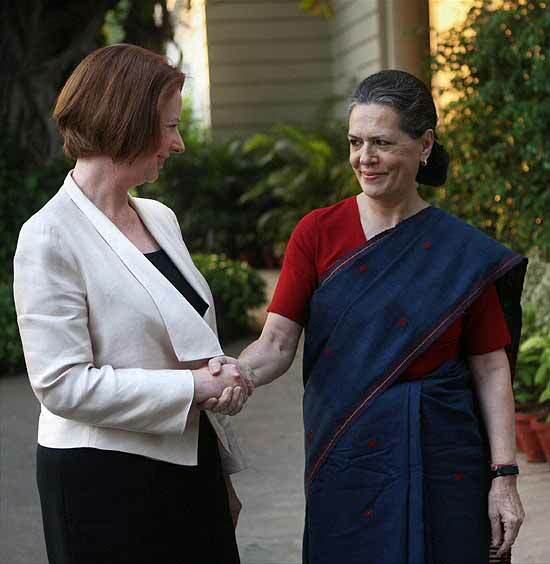 UPA Chairperson Sonia Gandhi shakes hands with Australian Prime Minister Julia Gillard before a meeting in New Delhi. 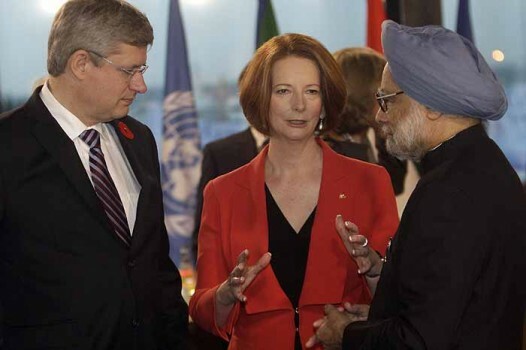 President Pranab Mukherjee with Australian Prime Minister Julia Gillard at a meeting at Rashtrapati Bhawan in New Delhi. 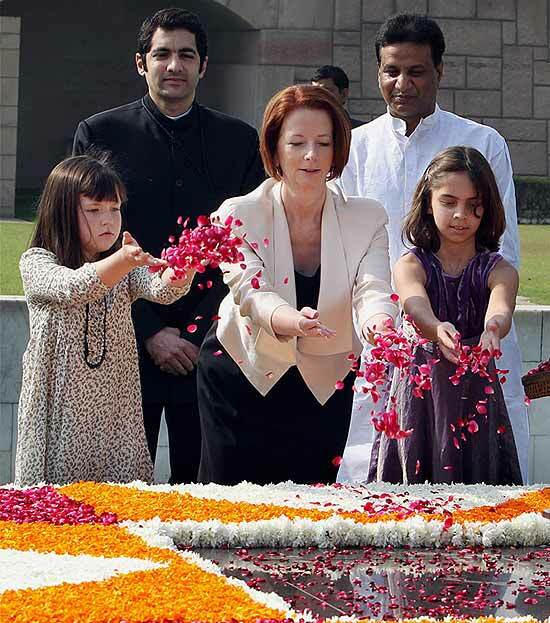 Australian Prime Minister Julia Gillard paying homage to Mahatma Gandhi at Rajghat in New Delhi. 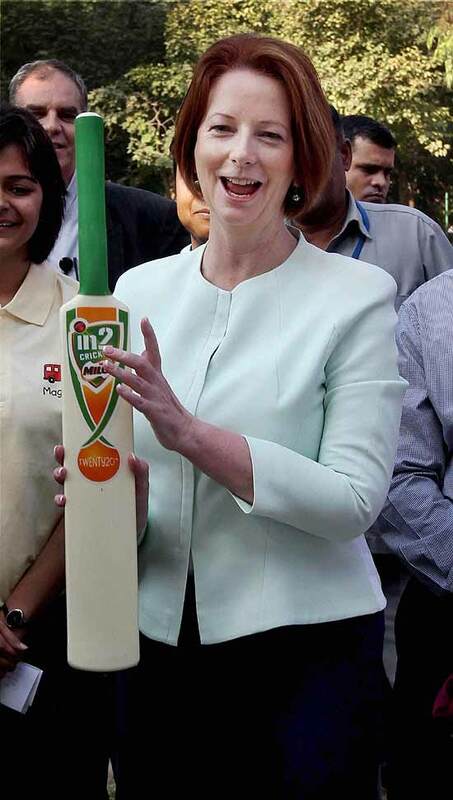 Australia's Prime Minister Julia Gillard holds up a bat during a visit to a cricket camp for underprivileged children at Vasant Vihar in New Delhi. 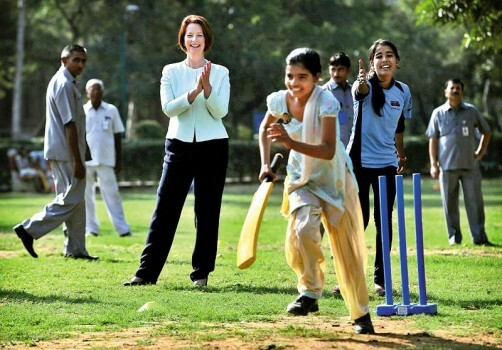 Australia's Prime Minister Julia Gillard watches a girls playing cricket during a visit to a cricket camp for underprivileged children at Vasant Vihar in New Delhi. 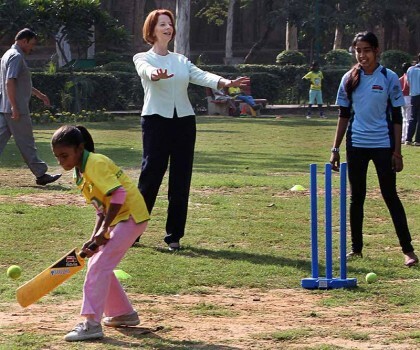 Australian Prime Minister Julia Gillard interacts with children during a visit to Asha project site, Sunlight Colony in New Delhi. 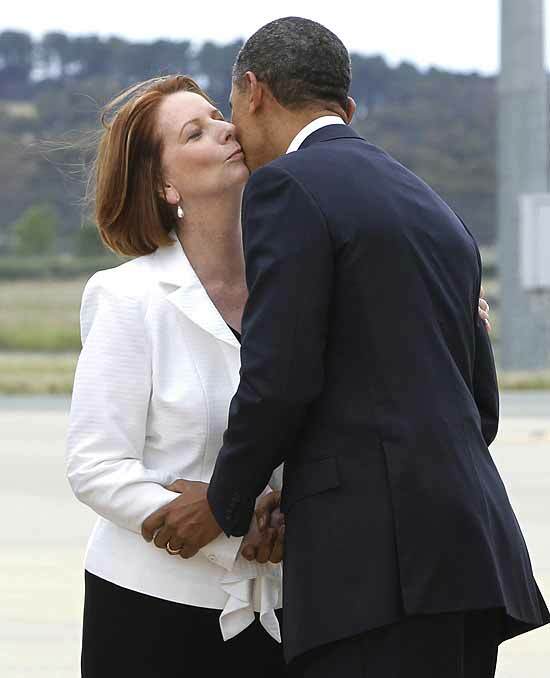 Australian Prime Minister Julia Gillard, left, is received by Telecom Minister Sachin Pilot as she arrives at the airport in New Delhi. 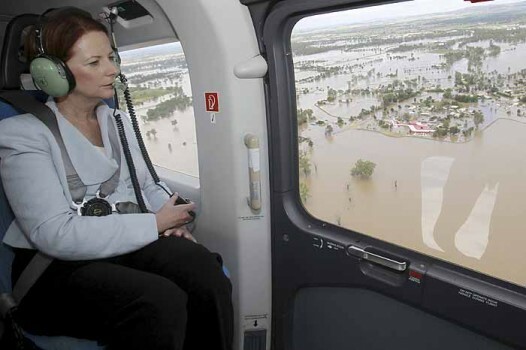 Gillard is on a three-day visit to India. 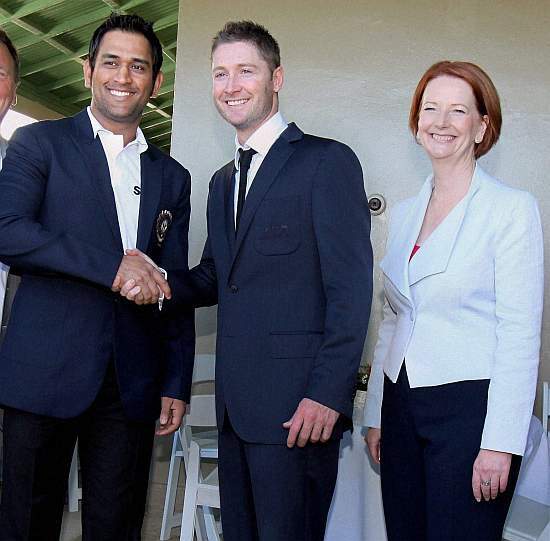 MS Dhoni shakes hands with his Australian counterpart Micheal Clarke as Australian Prime Minister Julia Gillard smiles during a meeting in Sydney. 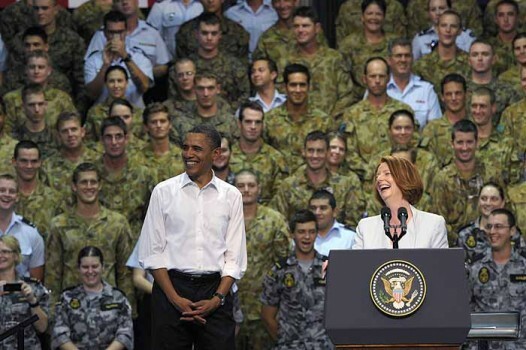 President Barack Obama and Australian Prime Minister Julia Gillard share a laugh with Australian troops during a visit to Royal Army Air Force Base in Darwin, Australia. 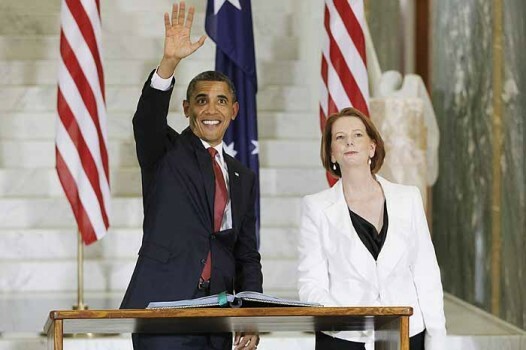 U.S. President Barack Obama waves after signing a guest book as Australian Prime Minister Julia Gillard stands at right at Parliament House in Canberra, Australia.